The distinctive culture of the South West is characterised by its quality produce, and its devotion to fine food and wine steeped in flavour and tradition, to enjoy without moderation and in a festive atmosphere. More discreet, the Toulouse violet also occupies a privileged place in many preparations, including sweets, ice-creams and liqueurs. And elsewhere in the Haute-Garonne, the culinary art is not to be trifled with : as in the Pétéram from Luchon (preparation based on mutton tripe, calf’s caul and sheep’s feet, requires 3 hours cooking) or la pistache luchonnaise (type of cassoulet with mutton, Tarbais white beans, other meats and vegetables). Cheese, tripou, occitan omelette, panset, tourin (garlic soup), millas (cereal porridge) wake up the taste buds, as does the millasson from Montréjeau (custard flan flavoured with orange flower and lemon zest) which has been delighting dessert-lovers for over a century. Eat garlic. It rejuvenates the organism and keeps the importunate at a distance. My idea of heaven : eating foie gras to the sound of trumpets. Every Saturday morning, one of the most amazing markets featuring producers from the region enlivens the town of Revel. It takes place under the magnificent 16th C. market hall and numbers almost 300 stalls. It is listed as one of the « 100 finest markets in France ». Twice a year, the village of Montbrun-Bocage plays host to the Spring Fair and the Autumn Fair. These bring together more than 300 exhibitors on a wide range of themes : renewable energies, world music, fine local and organic produce, old varieties of apples and various species of fruit trees, art exhibitions and creative workshops. Where to find this produce ? The know-how of producers, producers of conserves, bee-keepers, wine growers/makers is shown to advantage at the Maison de la Haute-Garonne on the A61 motorway (Aire de Port-Lauragais) where all the département's specialities are to be found : foie gras, Cadours garlic, Fronton wines, Pyrenean garbure (soup), Toulouse cassoulet, pigeon confit from the Lauragais, Toulouse violet... A leaflet with the contact information of all the producers enables you to contact them contact directly and, should you wish, visit their farms/businesses. Maison de la Haute-Garonne Port-Lauragais, Motorway A61 – Tel. : 05 61 81 69 46. 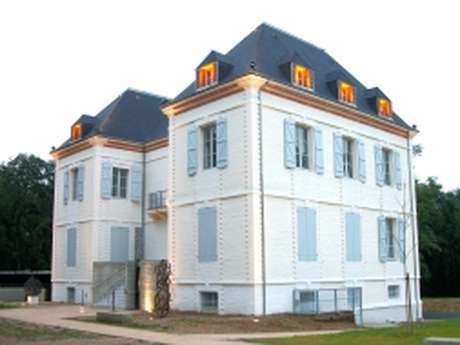 In the heart of the vineyard country, in the remarkable setting of the Château de Capdeville, this 19th C. residence has been renovated to make it into a showcase not only for AOP Fronton wines but also for the Toulouse Area itself. FInding out about the area and a tasting with the advice of a specialist round off the visit. The Tourist Office provides all the information needed for visiting the castles and villages in the surrounding area, plus a reception room which is ideally suited to groups, seminars and business events. Maison des vins de Fronton – 140, allée du Château – 31620 Fronton – Tel. : 05 61 82 46 33. Fronton Tourist Office – Same address – Tel. : 05 61 74 80 69. The markets of Revel, Montbrun-Bocage, Saint-Julia-de-Gras-Capou are well worth a visit to savour their characteristic lively, festive atmosphere. The Revel market (Saturday morning) numbers almost 300 stalls in the town centre under the legendary 16th C. market hall. In Montbrun-Bocage, it’s on Sunday mornings that people hurry to the central timber-framed market hall to buy organic produce, medicinal herbs, spices and other unusual items. And in Saint-Julia-de-Gras-Capou, a little village in the Lauragais where capons have always been raised, the farmers organise the « Gras Capou » fair (« fat capon » in Occitan), on the Sunday before Christmas. The day is not lacking in the quaint and picturesque or in important events : traditional market, parade of the guilds, mass in Occitan, capon competition, induction and free tasting of capon. Wine consoles the sad, rejuvenates the old, inspires the young and relieves the careworn of the weight of their troubles.. Since the 13th C., the stony terraces of the Frontonnais and the Toulouse area in the Haute-Garonne have been home to a vineyard whose reputation has never diminished. The microclimate of this area, the presence of gravelly soils and a unique grape variety, the Négrette, enabled it to obtain its Appellation d’Origine Protégée (AOP) in 1975. In the Toulouse Area, several estates are developing the brand « Vin de Pays du Comté Tolosan ». Twenty-five wine growers/makers have signed up to a charter committing themselves to making the public welcome to their estates and châteaux located on the AOP Fronton Vineyard WIne Road. As well as road signs indicating the domains, a tourist map giving information about each vineyard and its opening hours is available on request.